A performance by children from Cheshire Primary Schools for their COTTON: Global Threads project. 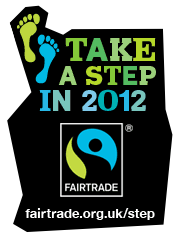 The movement and dance event was performed in front of invited guests, parents and their teachers. The children’s act portrays the ‘life of a cotton picker’ and was the result of a two week adventure with Primary Schools linked to Fallibroome Academy – Special Arts College. Curator Dr Jennifer Harris discusses Anne Wilson‘s work, articles from the Whitworth’s collection that the artist chose to display in the Pilkington Gallery, and interesting connections with further pieces in COTTON: Global Threads. Dr Jennifer Harris takes us into the gallery to discuss Les Arbres à Bleus from Aboubakar Fofana and Still Life by Grace Ndiritu, two works occupying spaces leading on from each other in COTTON: Global Threads. 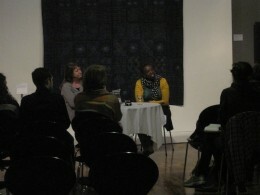 Artist Grace Ndiritu discusses her work in the exhibition and her wider practice with curator Dr Jennifer Harris. Browse the free Educators’ resource below for KS3 – KS5 students, teachers and lecturers for lots of ideas for discussion and further exploration. A video showing an installation view of Liz Rideal‘s Drop Sari, at the Whitworth Art Gallery, as part of COTTON: Global Threads. Rideal’s work displays imagery from India and tumbling sari fabrics projected upon white cotton saris – in the gallery, the work has a ‘conversation’ with the delicately draped, magnificently decorated Sultan Tipu’s Tent on the wall opposite. The exhibits are flanked by Rideal’s Ghost Sari prints and a display of vintage sample books featuring Indian fabrics – some of which are actually featured in the Drop Sari film. Event Report – Is Fashion Wearing Out The World? Lucy Siegle Talk and Book Signing, review by Terri Lucas. Lucy Siegle, Observer columnist and author of To Die For: Is Fashion Wearing out the World? visited the Whitworth last night to talk about the ethics of fashion and how the roles we play as designers through to consumers can affect the world and the lives of other people. Clothes have become so disposable, they are literally litter. She talked about how closely fashion and nature are linked but how distant the consumer is from this, how we are unaware of what actually happens in order for us to buy those bargain jeans or that high street top that help us keep up with the latest fashions. She declared that as a result of fast fashion ‘clothes have become so disposable they are literally litter’, saying that young consumers don’t remember a time before fast fashion, when people would buy clothes to last. Instead consumers buy clothes that are so cheap and of such bad quality they often don’t last the first wash and charity shops can only sell them to other countries, thus exporting the problem. Liza Lemsatef Cunningham chatted to artist Aboubakar Fofana about his work, its meaning, and his unique process of contemporary art-making inspired by traditional techniques and materials from Mali, West Africa, and his background as a painter and calligrapher. 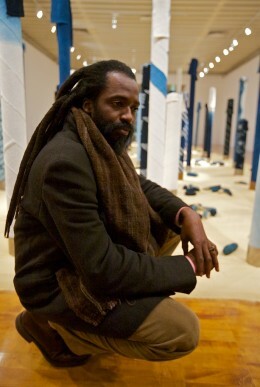 Fofana’s striking installation Les Arbres a Bleus is currently on display as part of COTTON : Global Threads at the Whitworth Art Gallery, and the artist also gives his impressions of the exhibit, describing which pieces he found particularly resonant within the exhibition. 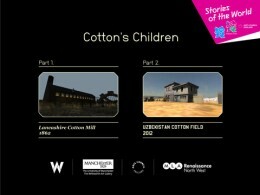 Cotton’s Children is a game specially created to accompany the COTTON: Global Threads exhibition.It was developed by a team of young people aged 16-20 years old, working with graphic designers Smiling Wolf and games company Onteca, as part of the Stories of the World 2012 Cultural Olympiad. The iPad game is available to download for free from the iTunes store.